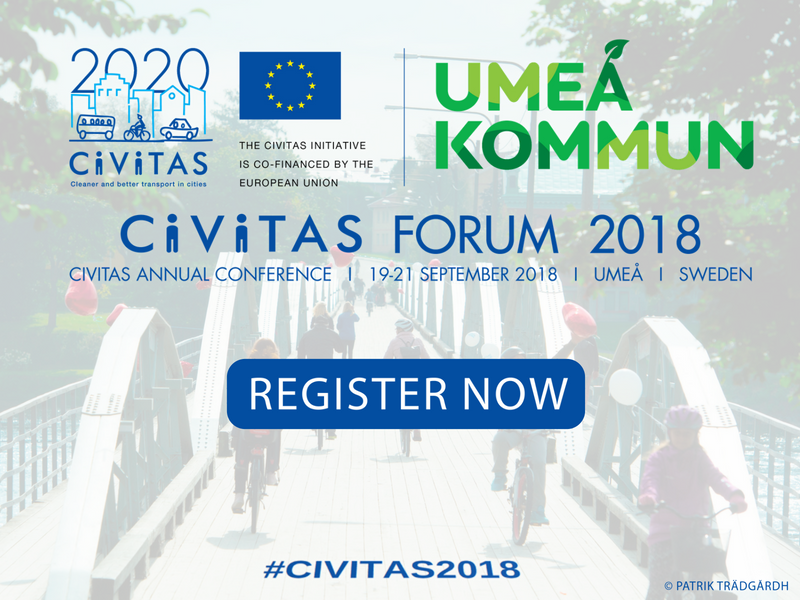 Under the banner of "Mobility for U and Me", this year's CIVITAS Forum Conference will gather hundreds of policymakers, city representatives, academics, and practitioners in Umeå, Sweden, from 19-21 September to debate this critical question. Over these three days, they will also witness the pioneering sustainable urban mobility measures moving Europe towards an inclusive and multimodal mobility future. With 2018 declared the "Year of Multimodality" by Commissioner Bulc, the Forum could not come at a better time. High-profile speakers at the event include Lena Erixon, Director of the Swedish Transport Administration; Maja Bakran Marcich, Deputy Director-General for Mobility and Transport (DG MOVE), European Commission; and Stina Nilimaa Wickström, Vice President of Product Design, Volvo Group. Exciting and insightful sessions hosted by selected experts will delve into the most urgent mobility topics, including multimodality, Mobility as a Service, co-creation, e-mobility, and smart mobility solutions. A new feature this year, these enable participants to get hands-on with and see cutting-edge urban mobility tools and methods in action. Engaging formats such as walkshops and study tours await. Umeå is one of Scandinavia's leading exponents of sustainable urban development and mobility. A series of site visits will reveal why, including tours of the city's smart university district and gender-sensitive infrastructure. These showcase Europe’s most forward-thinking sustainable urban mobility policy and measures. These will be given out on the Forum's second evening in a lavish ceremony at Umeå's cultural hub, the Folkets Hus. Explore the latest draft programme here and book your place among Europe's brightest mobility minds here. Attendance is free!